theSIMPLEmoms: More Miche Love, with the Big Bag! More Miche Love, with the Big Bag! Before I was a mom I had a bunch of cute purses. I would frequently change them to match my outfit, my mood, or just because I was bored. Then I had kids, and my purse never changed until it was falling apart (because who has time to move all that stuff when there's a screaming kid and you still haven't showered for the day?). Hello, Miche Bag. 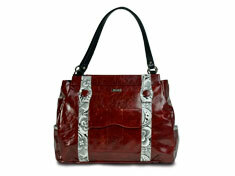 Miche Bags are these great designer handbags that let you switch your style in less than a minute. I can be a cute, handbag matching, mood changing momma?!? Yippee!!! Basically, you start with a base (Big Base, shown left) and then choose whatever shells you'd like to change out your style with. The Miche Big Bag base slides right into any Big Bag shell and secures with magnetic flaps at the top. The magnetic flaps are also how you close the top of your Big Bag. This magnetic closure is secure enough that everything doesn't spill out when your purse tips over in the car, but easy enough to open with only one hand. Inside the base there are slots for your credit cards, a zippered pocket for holding cosmetics or small items, two pen (or lip gloss) holders, and a couple other pockets for holding those items you want to be able to easily find. Ahhh... (that's my sigh of organizational contentment). Plus, I still have room for my 'momsentials' for those times when I don't want to tote a big diaper bag around. I've been trying out the Natasha (left) and the Sophie (right) shells and am totally addicted to my Miche Big Bag already! I just love that they are such totally different looking styles, and I barely have to do anything to switch my look! I have to note that the Miche Big Bag is a 'slouchy' purse. When I put my Big Bag down on a flat surface, it slouches over and gets that trendy 'slouchy' look. This isn't apparent in the pictures of the shells, but is really great to know. GET YOUR OWN!!! The Miche Big Bag is available from MicheBag.com along with the Classic Miche Bag and Mini Miche Bag. They even offer some great accessories, like different strap styles, to customize your look! Winner will be randomly selected and announced on January 27, 2011. Good luck! *I was provided with the Miche Big Bag and 2 shells pictured above free of charge to conduct this review. The opinions provided are my own. LOVEE the Ella Shell in red! Beautiful! I like MIche on FB. I love the Miche bag!!! i love the Lacey or Lucy SUPER CUTE! My boss and I had a purse party and I drooled all over the big bag. I love that you can change your purse everyday to something different! Those are so cute! I think my favorite is the Sophie and the Oakley. Thanks!! I really like the "Hope"..this is a fabulous idea and reminds me of some of the reversible clutches from the 1950's.. I liked Miche Bag on Facebook! I "like" Miche on facebook now! They're all so great. I like the Elizabeth, Ashley, Erica and Leila...We'll venture to say though that the Elizabeth is my favorite. I love them all, I've been trying to get my husband to buy one forever! Maybe I'll just win one, I think Hope is a beautiful shell. I am very much a Leah type of girl, but with the ability to change looks so easily, I want to be an Oakley! Thanks for the chance to win one of these great bags! I like the Madelynn shell! love love LOVE the Sandy shell, and the Laney....I love all of them! OMG!! I can SO relate to needing a new purse its not funny! LOVE the Tori bag! 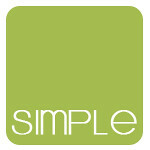 Thanks for the chance Simple reviews! Found em on Facebook and liked em! Thanks again! I think the Lacy style is my favorite. Seriously classic. I LIKE The Official Miche Bag on Facebook. I love the Laney Shell! Adorable! I like the Lauren Shell and the Lexi Shell. Thanks for such a great giveway! I've been eyeing these for some time and Love the Heidi shell! I love this bag! A co-worker has one and every time I see it, I like it even more. I especially like the Leah, the Hope, and the Sandy shells. I really love the Jodi shell. Love these bags!! My fave is the deep red. So chic! I love the Alyssa shell. So cute! I like Miche on Facebook! I liked Miche on FB. I like that they have a shell that supports those who have had breast cancer. My favorite shell is the Shawna!! :) Thank you for the giveaway!!! I like her facebook page!! I like the Cori in Pink shell. I like the Wendi shell. I want the Shawna shell. I Love Miche! One of my favorite is the Drew Shell for the big bag. The Sandy or the Lauren are both super cool! I like the Maggie or Lauren! I like the Maggie shell. The Ella shell is my fave.Thanks for the chance. 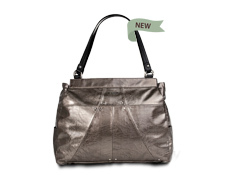 I "like" Miche bags on Facebook! I love the Vanessa Shell. I liked Miche bag on facebook. My favorite shell is Oakley. I also like the Wendi Shell. It's very versatile. I really like the Lexi and th Oakley. 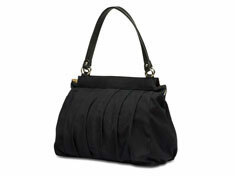 I like the Miche Big Bag in Black and I also love the Ashley shell. Lots of decisions, but I found a few that I like. I think Lauren, Shawna, and Sophie are my faves. Email on my blogger profile. I like Miche Bag on Facebook - Rebekah F.
I love the Heidi big bag shell! I like the Naomi shell. I really like the Laney shell. would love to give this purse a try. I liked Miche on FB! My favorite shell is the Charlotte Shell. I like the Leila the best. My favorite Miche Bag shell is the Tori. I am a fan of Miche Bag via Facebook as Jill Myrick. I like the Dani or the Hayley. I like Miche on FB! My favorite shell is the Scarlet. I love the Whitney shell! I LOVE the Sophie and Leah! I like the Lucy shell. I like the Vanessa shell. I love the Chloe bag.. I have a pair of shoes that would be awesome with. I like the robin shell. I like the Oakley shell. Wonderful, generous giveaway! Aside from the prize Shells - I also REALLY like the Oakley, the Phoebe and the irresistible Lexi! I also love Miche's Elizabeth shell! That is such a wonderful idea! I can have many purses in one! YEAY!!! I love the Madelynn shell. I like Official Miche Bag page over on Facebook. I like the Hope (Silver) and the Lauren! I like Miche on Facebook (Kristin K).